Deep under the island of Darkwater, something stirs. Leviathan. I’m not sure what that word entails yet, but I’ve seen the signs—the dead whales, the greenish pall on the town, the nightmares. I know Leviathan is nothing good. Now if only I could figure out why, pry up the secrets hidden under these rotting floorboards and in crumbling mansions. Who is Sarah Hawkins, and how did she die? Or did she die? And what of her husband, Charles Hawkins? Where is he? And uh…why don’t people’s mouths move when they’re talking to me? Is that part of the horror? I can’t tell. Call of Cthulhu ($60 on Humble) is a game I should love. Hell, at points I did love it. 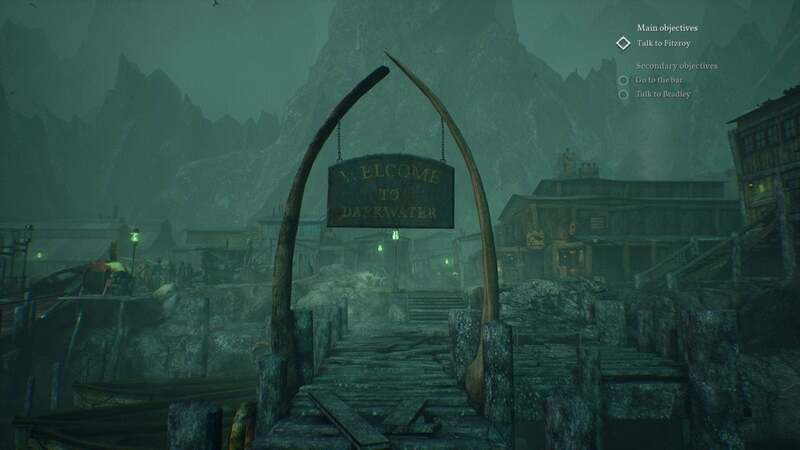 Based to some extent on the Call of Cthulhu tabletop game, this video game adaptation takes cues directly from its analog counterpart. 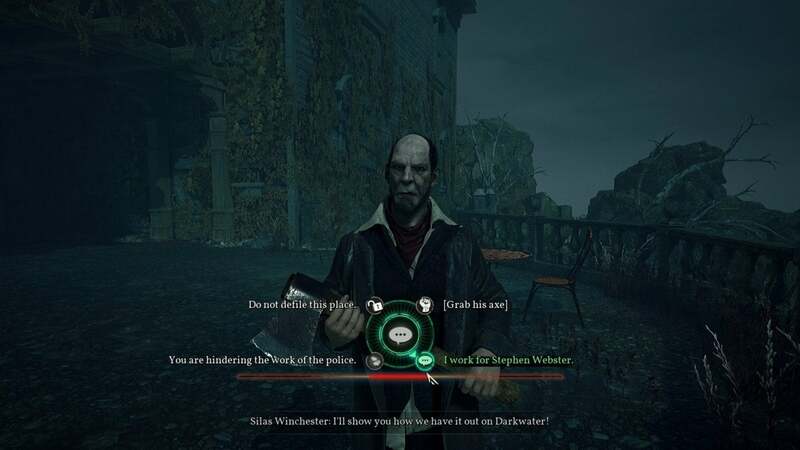 You play as Edward Pierce, a detective sent to Darkwater to investigate the death (or disappearance) of Sarah Hawkins, a painter known for her terrifying portraits of otherworldly monsters. Pierce is very much a detective, and that’s why I should love Call of Cthulhu. Aside from one late-game sequence there is zero combat to be found here. You’re here to dig up clues, to talk to witnesses, and to draw conclusions. Like most great Lovecraft adaptations, Call of Cthulhu operates under the idea that the mythos is unknowable, unbeatable. The best you can do as a mortal is try to stay out of its way. And when Call of Cthulhu leans into this aspect, it’s fantastic. The first few acts are delightful, despite some cliché environments, low-budget visuals, and clumsy character animations. Pierce alights in Darkwater and starts looking for answers in the local bar, among the fishermen and the smugglers and the overworked police. He then manages to gain access to the Hawkins mansion, a part of which burned down recently, there to find even more clues. It’s slow and it’s deliberate, and the tension builds. The charming captain who brought you to Darkwater maybe isn’t so charming as he seems. And hey, the Hawkins mansion has a secret tunnel that leads into a network of caves—surprise! Maybe all those references to the “Miracle Catch,” an enormous whale that fed everyone on the island for weeks, are more sinister than they seem. Again, it’s very Lovecraftian—not just Lovecraft-as-set-dressing, but truly in the spirit of those stories. The approach is a bit heavy-handed, and the atmosphere laid on thicker than it needs to be. 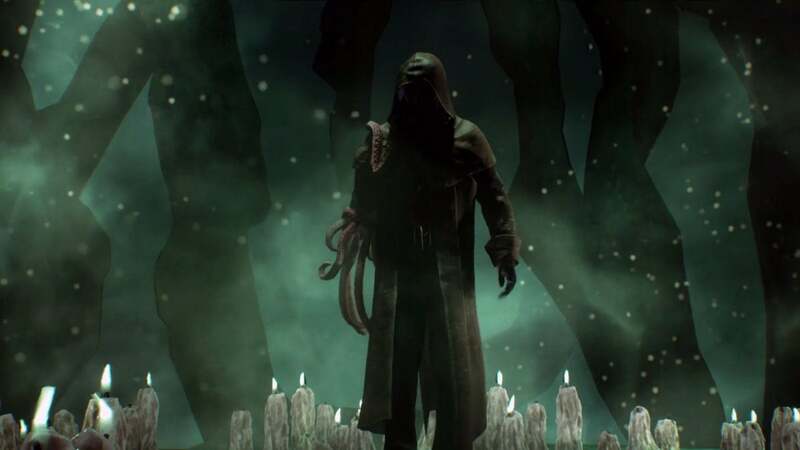 At its core though, Call of Cthulhu is the story of a man forced to look into an abyss. As you discover more clues, you realize maybe you don’t want to know all the answers here, or perhaps that Pierce can’t handle the answers. You have to keep looking though, picking up documents and listening to recordings on old wax cylinders, trying to find Sarah Hawkins. Most of the early game is spent quietly wandering through various rooms, hunting for items to interact with. It’s an adventure game, really. Pierce is a fine detective, too. His skill tree is lifted from tabletop, albeit simplified. There are seven skills in all: Psychology, Investigation, Eloquence, Strength, Spot Hidden, Medicine, and Occult. The first five of these are player-governed, and you can sink points into them as you head through the story. The other two, Medicine and Occult, are only improved by finding items in the game.